1. In a shallow bowl, toss pork pieces with fajita seasoning. 2. In large non-stick skillet over medium-high heat, stir-fry pork pieces with onion and green pepper until all is just tender. 3. 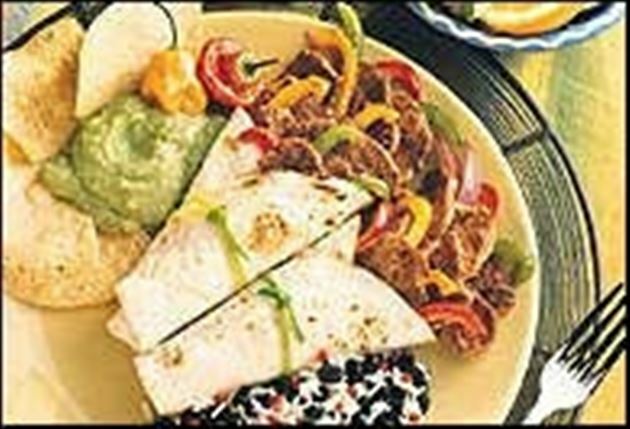 Wrap portions in flour tortillas with salsa. 4. Helpful tip: Placing pork tenderloin in freezer for about 20 minutes makes slicing easier. 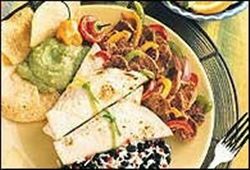 Enjoy this delicious pork fajitas Mexican recipe!